BTS just played SATURDAY NIGHT LIVE, marking the first-ever appearance by a Korean pop group in SNL’s 44 seasons. 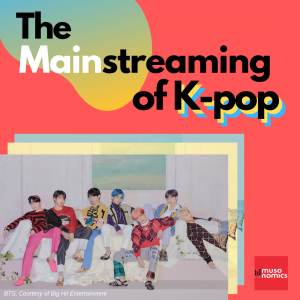 On this episode, we examine the emergence and explosive growth of K-Pop on the American musical landscape and explore the genre’s origins, current state and future with K-Pop expert Hannah Waitt. The most sweeping update of American music copyright in a generation is now law. 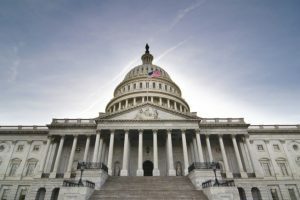 In this episode of Musonomics, Larry Miller talks to three people that shaped or closely followed this bill from draft to signing: Jacqueline Charlesworth, Mitch Glazier, and Robert Levine on why the Music Modernization Act was so urgently needed, how it came to be, and what happens next. Music is all around us, all the time – as we shop in a store, eat in a restaurant – or work off those calories in a spin class. 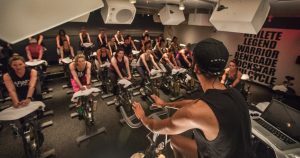 In this episode of Musonomics, Prof. Larry Miller from the NYU Music Business Program explores the evolution and licensing issues of background and foreground music used in businesses, from the birth of Muzak in the wartime factory — and then we shift into overdrive with Soul Cycle’s rawk gawd Sean Linehan on how he sculpts the playlists for each of his sold out spin classes. 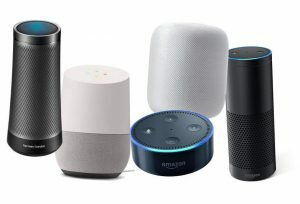 For millions of us, artificial Intelligence got real when we added smart speakers to our homes. Our AI assistants are standing by, ready to play music, turn on the news, start the oven, or see who’s at the front door. But as they make life easier, they’re also creating new challenges for the music and entertainment industries. And then there’s the matter of security…just how smart do we want our AI devices to be? Amazon, Google, and Apple are all now competing to be the smart speaker in our homes — and cars. As their underlying voice assistants become more integrated in our homes, the entertainment industry must rethink how to reach these consumers. 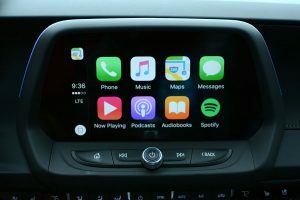 How will Alexa, Google Home or Siri travel beyond our households and into the connected car? In this episode of Musonomics, we’ll hear from industry reporter Cherie Hue and Larry Rosin of Edison Research. 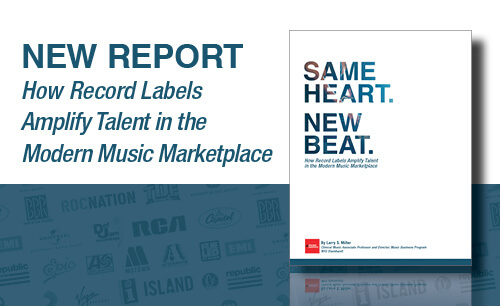 It’s not a secret that live music has kept many artists afloat as the recorded industry has cratered. But fifty percent of last year’s top 100 grossing acts are over 50 years old. Mick Jagger is 73 years old. So what will happen to the live music industry when they’re no longer around? On this episode of Musonomics we’re talking about the future of the live music industry and rock’s demographic crisis. Neil Shah, a staff reporter at The Wall Street Journal, is wondering whether the next generation of artists will be able to command the same ticket prices and bring the same revenue to fill the hole that would exist when Mick Jagger no longer sings “Satisfaction” at sold out stadiums. And if they do — are they gonna be able to do it for the next thirty years? Music festivals are a big source of income – especially this time of year. Over 32 million people attend music festivals in the US every year. This year’s Coachella sold out in only three hours after the lineup was announced in January. Over the last ten years, concert promoters have been buying stakes in music festivals. Live Nation recently became the majority shareholder in Bonnaroo and the Isle of Wight and is now producing over 60 festivals. AEG Presents, the world’s second largest music promoter, is producing 18, including Coachella the highest grossing music festival. Neil Shah says the promoters are looking to take stakes in a business that will increasingly provide a bigger share of live music revenues. But it’s not all sunshine. 2016’s Bonnaroo was the least attended in that festival’s 15 year history. And both Tomorrowland and Wakarusa cancelled their festivals last year. This – paired with a lot of lineup overlaps – has raised the question whether we have in fact reached what’s been called peak music festival. Cherie Hu writes about music and technology in Forbes. She thinks characterization of the current scene as “peak festival” is an oversimplification. To get to the bottom of the claim that festivals have a lot of lineup overlaps, she analysed the data from nine upcoming festivals. Hear what she found out in this episode of Musonomics. As always, you can listen to the new episode on iTunes, or stream it on Soundcloud. China has the largest population in the world and an economy that keeps growing at a steady pace. But China’s music industry is still the size of small European countries like Austria and Sweden. Why is that? On this episode of Musonomics we take a look at the Chinese music market, so full of potential and changing more in the last five years than in the last 50. We’ll address how decades of piracy have shaped consumer behavior; discuss the major players when it comes to Chinese streaming services and project what will happen in the next few years. 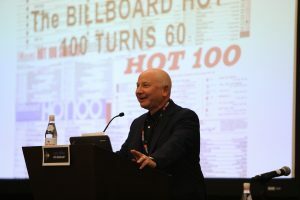 You’ll hear from Ed Peto, the music executive who moved to China to build a bridge between the Chinese music market and the western music industry. Ten years later he’s running Outdustry and helped launch the selling record ever — Adele’s 25 — in the Chinese market. You’ll also hear from Billy Koh, the Simon Cowell of China with a long view of the Chinese music industry. Billy is a popular judge on the TV talent shows and also the founder and CEO of the hit-making record labels Ocean Butterflies and Amusic Rights Management.